What do the words 'Geo-engineering' and 'Chemtrails' have in common? Climate control! 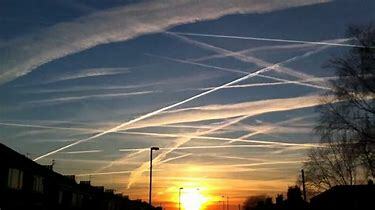 A 'chemtrail' is the name given to plumes emitted by aircraft in the sky. And 'Geo-engineering' is the name used to define the intentional process of altering - or 'engineering' - the Earth's atmosphere. Although environmental activists and scientists define chemtrails as 'The Issue of the Century', the unreported and limited understanding on this subject leaves the general public unaware of - what is now called - "The world's largest aerial operation in history". Let's look at the WHY and the WHO of this issue!